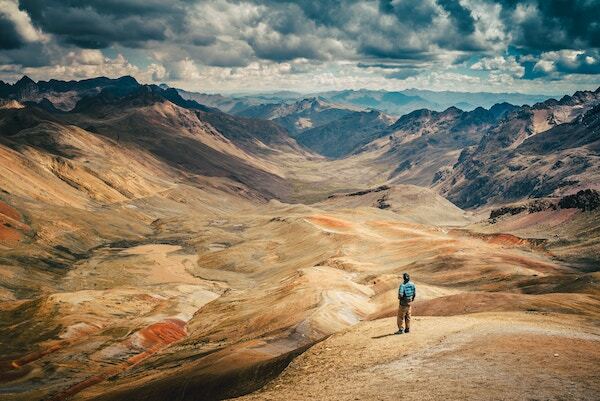 Are you brave enough to travel solo? Honestly, I was too scared for a long time. It’s something that once you’ve done it, you’ll wonder why you were ever worried, I think, but it’s a hurdle that many of us have to force ourselves to overcome. As with any form of travel, there are pros and cons, and some people really prefer to have someone else around to share the ups and downs of each travelling day. Personally I love a good mix, and although (or perhaps because) I don’t get to travel solo very often these days, I always relish it when I do, and love that utter feeling of freedom. And that’s a freedom my guests in this episode all enjoy too. Travelling solo is a really special way to travel and it’s the focus of Episode 58 of The Thoughtful Travel Podcast. 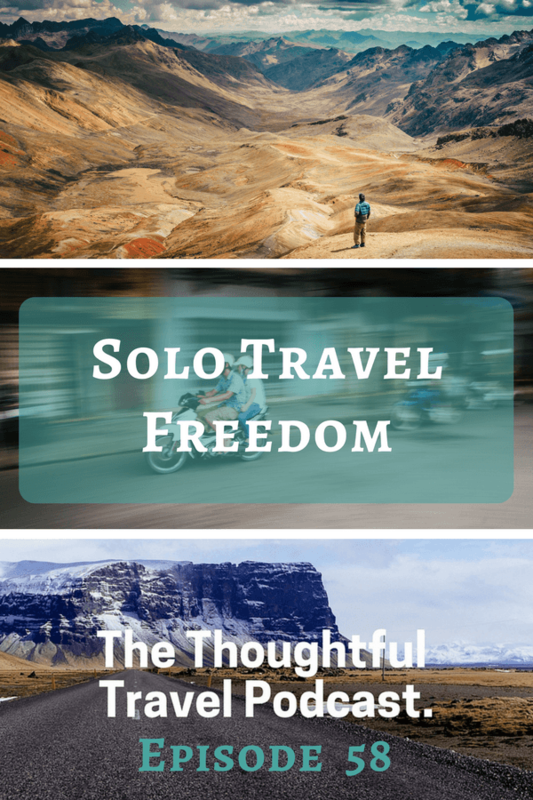 Everyone’s experience of solo travel is different and these three guests all have a different story to tell from travelilng on their own. First up, I chat with Abby Lewtas who was inspired by a cousin to hit the world on her own, and took off for a big backpacking trip around South America – although not without some hesitation. On the other hand, fellow podcaster Hayden Lee doesn’t seem to do anything with hesitation, and I wasn’t surprised to hear his interesting story of a man he met just ten minutes after arriving in Ho Chi Minh City, Vietnam. This is one of those travel adventures that only happens to brave (and crazy) people like Hayden. Finally, I chat with Carly Findlay who has a more regular experience of solo travel, and in fact very similar to my own experience. It was good to chat to her about the ups and downs of travelling on your own.